As a medical transcriptionist, you need the right tools to get the job done. Quality of the equipment and software you use will have a definite impact on your ability to work efficiently, increase your performance, and thereby increase your salary. When you start out as a medical transcriptionist, you may be overwhelmed at the advice you get from every direction regarding what you need and what you don't. One glance at several medical transcription equipment and supply resources is enough to overwhelm anybody! Here's a list of basic supplies that most medical transcriptionists find invaluable, although you can cater the basics to meet your specific scenario and employee needs. Dictation software - allows you access to dictated reports and materials. See our basic guide to medical transcription software for more. Foot pedals - foot pedals are often an indispensable component of a medical transcriptionist's basic equipment. The foot pedal enables hands-free manipulation of dictated reports, including your ability to adjust the speed of the dictated report, and forward and reverse capabilities. 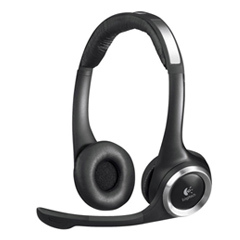 Headsets - headsets increase privacy and confidentiality, and offer amplification controls and noise reduction. Line counters - a lign counter makes it much easier for you to keep track of the lines you've transcribed. Line counters and software are a great help in creating output goals as well as invoices for your clients. Flash drives/memory sticks - backup data onto flash drives or memory sticks. Doctors may use a variety of methods to dictate their reports, from digital voice recording, MP3 downloads, and their own desktop or microphone dictation systems. You may find yourself adapting your download or accessibility approaches to such files, depending on what the doctors use. While technology continues to advance, some doctors still dictate into mini cassettes and recorders. You may find it handy to have a mini cassette transcriber at your disposal. In such cases, you, as a medical transcriptionist, may be required to pick up these digital tapes from the doctor's office, or have them mailed to you through a courier service. Some doctors use FTP (file transfer protocol) capabilities for their handheld digital recorders. They download the dictated files onto the Internet and send them to you in formatted WAV files that you can access through your MP3 or FTP capabilities on your own computer. Last but not least, a comfortable chair and desk with adequate office supplies will increase your efficiency, comfort and ability to produce high-quality reports. If you're uncomfortable you'll be distracted. The quality of the equipment and software you choose can make your job easier or harder. What can you do without? The tools of your trade depend on your workload, comfort level, and degree of professionalism you wish to offer your clients. The type of dictation software or the style of foot pedal you choose is up to you. The same goes for computers, headsets, and other accoutrements of the trade. Keep in mind that high quality medical transcription equipment and software, while it may cost more now, will pay off in the long run in your ability to do your job with the utmost quality, speed, and professionalism. A medical transcriptionist growing his or her business may eventually add dedicated or separate phone lines for professional reasons and to increase contact with clients. A website also increases your local or national business presence. Of course, you need certification as a medical transcriptionist, and if you're self-employed or work from home, you may also consider obtaining a business license, and/or incorporating, or forming a limited liability company. A busy medical transcriptionist may also use the services of a local courier service for retrieving and dropping off tapes, CDs, and reports to local doctors or hospitals. Determine what you want to add to your business as you grow your client base. Start simple. Determine the quality of your work based on the most necessary equipment you need to do your job well. This is just the tip of the iceberg when it comes to medical transcription software programs. Click onto the Internet and type in "medical transcription software" into the search bar to search for likely options that meet your needs, and are within your price range. A number of medical transcription equipment websites are available, with choices and options for microphones, dictation management programs, foot pedals, transcription headsets, and other transcription support tools and equipment. Rely on the feedback and comments of others whenever possible when purchasing dictation equipment and tools. Yes, price is important when purchasing new or used, but try to access a variety of forum boards, discussion groups, or websites that provide unbiased user reviews and comments. The most common tool for a medical transcriptionist, regardless of work scenario, is a headset. The amount of money you pay for a headset depends on your own preferences and comfort levels. A headset can cost anywhere between $10 and $50. A setup of a foot pedal, dictation software, Internet connection, a printer and a moderately priced computer averages approximately $2,000. 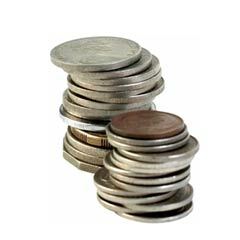 You may add costs throughout the year depending on software upgrades, replacement costs, and so on. Independent contractors have more cost outlay than a medical transcriptionist who goes to work for a medical transcription service company, as you will be supplied with all the equipment you need to do your job. 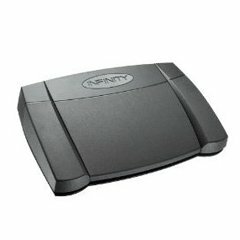 The average cost of foot pedals (on Amazon) is $55, while the cost of medical transcription software may range from $100 to $300 or more, depending on brand and model of foot pedal transcription systems. 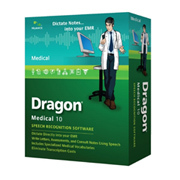 For example, the Start Stop foot pedal transcription system costs approximately $190, while the Dragon Medical Practice addition costs over $1,500. Take your time researching medical transcription equipment, tools, and software. You want the best without breaking the bank, so find the balance and the system with which you feel most comfortable. You may also be interested in our guide to setting up a home-based transcription business.